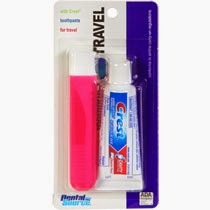 25 Dollar Tree Travel Items You Never Knew You Needed! I recently took my parents, brother, grandmother and aunt to Sandals Royal Bahamian, to celebrate my parents' 30th anniversary. Because most of them are not frequent travelers, I thought it would be a nice idea to put together a little travel bag for them with all the essentials they will need for their week in the Bahamas. I based what I put in there on all the things I've come to love picking up right before a trip. Things that make my life a million times easier when traveling. After seeing how much they all used the items I packed during our week away, it prompted me to want to blog about it and share the info with everyone else as well. All the items below can be found at your local Dollar Tree, for-- that's right, you guessed it-- only a dollar! At most, that's an extra $25 worth of stuff that you'll be glad you had handy when the time comes that you, or someone you are traveling with, may need it. 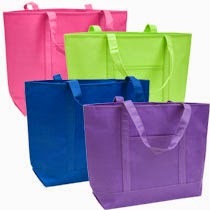 These bags worked great for my family members when we traveled together. I was able to pack it full of the items they would need and then gave it to them as a little gift. Then they packed the items where they would need them in their bags, and packed the totes to use on the beach. The entire trip I saw them carrying around their little Dollar Tree totes with everything from their sunscreen to their cameras and beach towels in it. The bags were super practical and they all loved them. These are the first things I pick up when I have a trip coming up. Why? Because they are useful for everything from the holding my liquids for my carry-on (per the TSA guidelines) to transporting things like cell phone chargers or undergarments. I even pack some extra empty bags to put my wet items in like shavers or toothbrushes which are sure to be wet the last day of vacation when you're packing up to go home. I also love to use them to keep everything in one place. 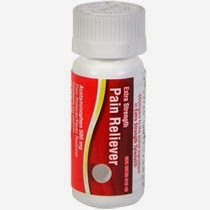 Nobody wants to shuffle through bags to find that bottle of pain reliever or lady product. 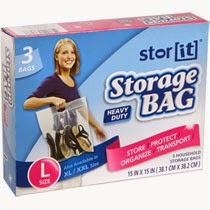 But having things neatly stored in plastic bags makes them easier to find when you do need them. I can't tell you how many times I used to travel and come home with damp clothes thanks to a wet bathing suit. Or a smelly suitcase thanks to dirty laundry. One day I was browsing the Dollar Tree looking for some good finds and came across this little gem. 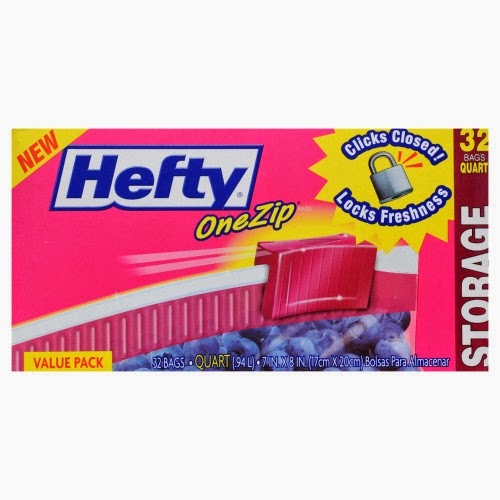 For $1.00 you get THREE large bags, bit enough to fit wet swimsuits or even a pair of stinky gym shoes. Helpful Hint: They make XXL bags (1 for $1.00) which you can use for laundry. Though my secret is using the plastic laundry bags that hang in the closets of the hotel rooms. They are free and do the job too! Laugh all you want, but until you've been that person caught in the bathrooms stall at an airport without toilet paper or the useless one-ply toilet paper, you'll be glad you had a pack of these handy. 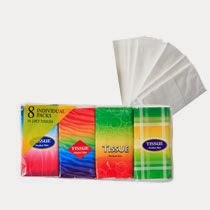 The Dollar Tree has great travel-sized packs with 20 wipes, and they even work great for sticky hands or a quick wipe down when you are needing to feel fresh again after a long day of travel but can't get to a shower. If you don't travel with a pack of these, you should try it some time. It will completely change the way you travel. Gone are the days where I'd pack my good toothbrush and a whole bottle of toothpaste when I had to travel. I'd use them the morning of a trip and then have to pack the wet toothbrush and bottle in a ziplock bag. Now I pick up one of these little combo packs at the Dollar Tree right before a trip. I pack it as is and open it when I get to my destination. When it's time to go home, I throw it out. No more need for wet germ-filled brush marinating in a ziplock bag during my travels! *Helpful Hint: most of the time these packs are not in the Dental Care section but are found hanging up on the shelf across from the check-out conveyer belt. I can't tell you how many times I've been on a trip and wished I had a bottle of chap stick with me. Something so simple always seems to be forgotten. So now I've added it to my "To Buy" list when going on a trip. The Dollar Tree carries all sorts of brands. 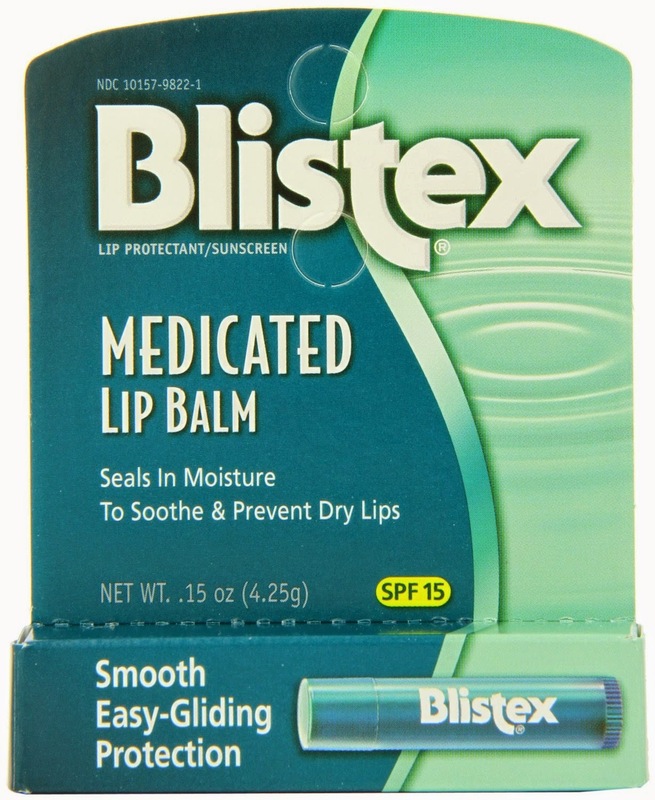 My favorite is Blistex. I love their Cherry Lemonade flavor! *TIP: If you're going someone tropical, consider paying more at a store like Target or Walmart for a brand with sunscreen in it-- like Banana Boat's Aloe & Vitamin E Sunscreen Lip Balm. 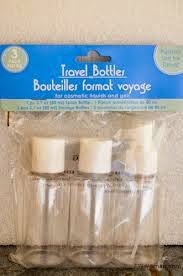 These are another great item to carry on you during your travels. You'll never know when you'll need them. Maybe there is no more soap in the airport or gas station bathroom. Or maybe you're worried about cleaning off the germs that are on the airplane's tray table, before you eat off of it. Headaches and backaches often come on at random. I always want to be prepared to combat them, especially when I'm traveling. I get these perfect travel-sized packets of pain reliever from the Dollar Tree and use them whenever I'm on the go. 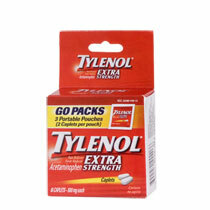 I've found Tylenol, Advil, & Excedrin too. They're easy to pack- just throw a few in your purse and a few in the suitcase too. I have used them so many times, and when my headache is subsiding after a day spent in the sun, I'm always so glad I remembered to pack them! Going to new places and trying new foods can sometimes be a recipe for a gastric disaster. Luckily, the Dollar Tree carries all the essentials to keep you from spending your valued vacation time in the bathroom! I love these small rolls of Tums. 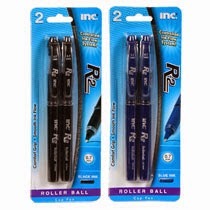 I buy a few and put one in my purse pocket and another in my suitcase for backup. 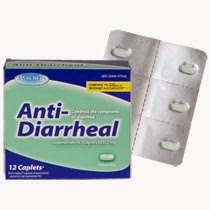 *Helpful Hint: The Dollar Tree also carries generic anti-diarrheal meds for when your tummy isn't used to all the new foods you're eating, it can wreak havoc on your system. 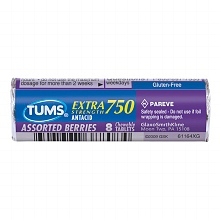 These are definitely worth having on hand incase Tums doesn't do the trick. I love flying on JetBlue, or any other airline that gives you free in-flight entertainment. But one more way the airlines are cutting costs is by telling you to bring your own headphones. 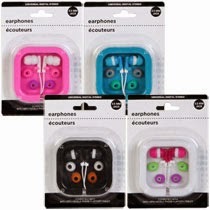 Everyone with a smartphone owns a pair of headphones, but I personally don't like traveling with a good set. I don't want them to get lost or ruined. So I bought a cheap set from the Dollar Tree and they are my traveling headphones. Now I can watch the in-flight entertainment or listen to my music whenever I want while traveling! This one may seem out of place, but I saw it on the shelf at the Dollar Tree one day and realized this would be the perfect travel accessory! For starters, how many times have you been on a plane and the person in the window seat has the window shade wide open and the sun is glaring at you while you try to close your eyes and rest? It happens to me more than I ever realized. Now, no matter where I go, car or air travel, I can get some true shut eye! This is probably my favorite travel secret of them all! Did you know that you can take a water bottle through security as long as it's empty? Yup! 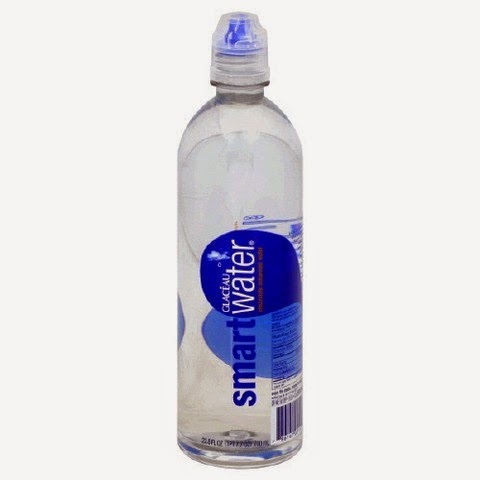 So what I do now is I buy a bottle of smart water from the Dollar Tree-- the one with the nozzle tip for easy drinking-- and drink it all BEFORE I get to the airport or go through security. Then when I get to my gate I fill it up again at the drinking fountain and voila! I save a pretty penny on a bottle of water at the airport. Once on the plane the flight attendants hand out water anyway so I can also refill it with the good stuff when I get on the plane. Sure, it's cheaper to just pack a pen from at home, but if you are one of those people who can never seem to find a pen, then add pens to your "To Buy For Trip" list. You will be surprised how many times you'll need a pen during your trip. Especially when it comes time to fill out those Customs & Immigration forms on the airplane or at the airport. The flight attendants don't carry extras for you, and many airports don't have pens available to borrow. So if you forget to bring one you'll have to buy one there or borrow one from another traveler. It's best to be prepared and pack some for your next trip! Nothing is worse than sitting around an airport hungry and being stuck spending a crazy amount of money on food. Packing a light snack for the plane or for the airport is always a great idea. Especially if you're staying over at an airport hotel the night before. 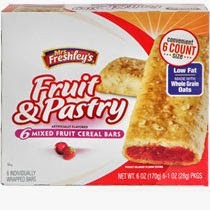 Early flights mean no time for breakfast, so a box of breakfast bars end up being a lifesaver! Try packing trail mix or pretzels if you have an afternoon or evening flight and know you may get hungry at some point. Unless you're flying an airline like JetBlue-- gone are the days you'll get a free in-flight snack to tide you over until you get to your destination. So avoid the tummy rumbling and pack a snack! 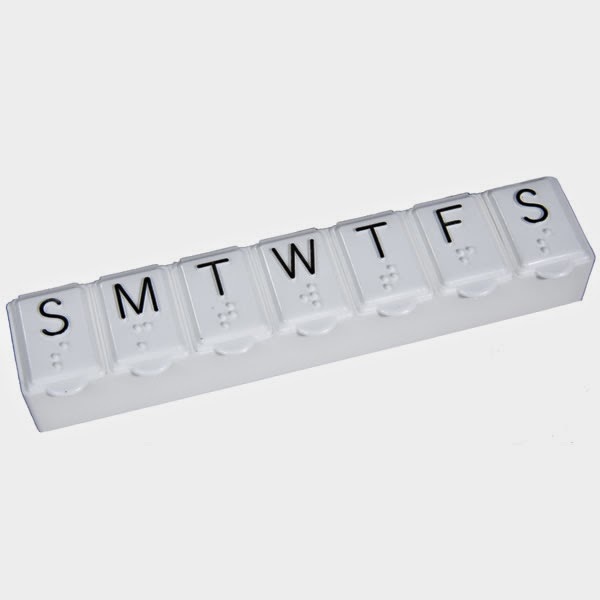 Sure, if you happen to take a lot of pills, having a pill box is a great idea for travel. But if you don't take a lot of pills, this little item can still be really handy. I use it to carry all of my jewelry that I plan to wear for the week. Earrings, necklaces, rings, etc. All of them fit nicely into the compartments and don't open during travel, which means I don't have to sift through my bag to find a pair of earrings. Just pack it and then unpack it. And it fits in the hotel safe perfectly. No need to pack and unpack jewelry. Just transport and keep them all safe in a pill box! Every woman knows how annoying it is to not have their makeup remover with them when traveling. 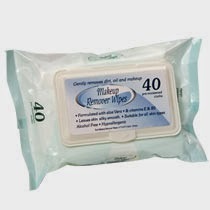 Since liquids are a pain to travel with, try picking up a pack of these make-up remover wipes from the Dollar Tree. 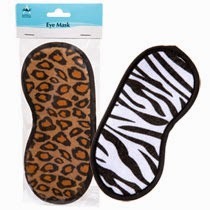 They work great and will last you at least a week, which means you won't have to leave makeup marks all over those stark white hotel pillows. Don't forget the tissues! At some point during your travels you will wish you had one with you, especially if you're traveling with children. 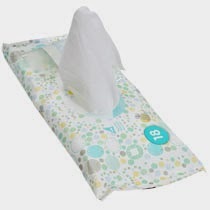 A $1.00 pack at the Dollar Tree has up to 8 packs of tissues in them, so buying one can last you a while. Dollar Tree has some great options for Cotton Swabs, and for the same price as a 30 count travel size, you can get a 500 count size. But the smaller travel size are best for traveling (obviously). So what I did was buy it once, and continue to re-fill the small package with cotton swabs from home to save on money but also save on space in my suitcase. If you're like me, you prefer to avoid checked baggage fees and just use a carry on. Aside from saving money on the checked bag fees, I also save time at the airport with not having to stand around at baggage claim. TSA allows all travelers to carry liquids on the plane as long as they follow the approved 3-1-1 rule (3.4 oz or less in each bottle. All bottles fit in one clear 1 quart ziplock bag. Only 1 ziplock bag per traveler). I buy this 3 pack at Dollar Tree and then fill each bottle with my essentials like shampoo, conditioner, and sunscreen. Then I use the body lotion as well as the shampoo, soap, and/or body wash at the hotel for washing in the shower to save myself from having to pack body wash or lotion That way there is normally still enough room in my 1 quart ziplock bag for a small bottle of perfume. 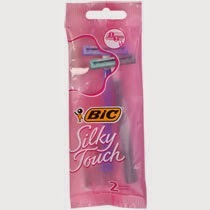 No need to pack your at-home razor. 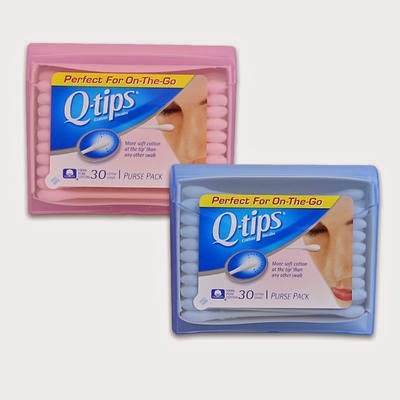 All you have to do is buy some disposable ones from the Dollar Tree. Like your toothbrush, you won't have to worry about traveling with wet germ-ridden razors. Another trick of the trade, instead of packing separate shaving gel, consider using the hotel's complimentary toiletries. Conditioner is a great substitute for shaving cream/gel. Yes. 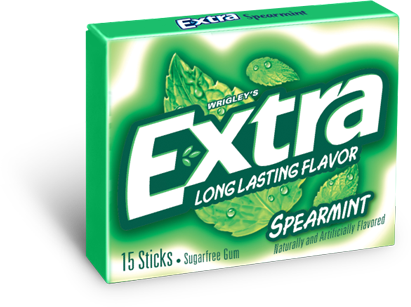 That is the number one reason why gum is a definite necessity. But it doesn't just combat bad breath. It's even great to chew when taking off and landing. It helps keep your ears from popping. 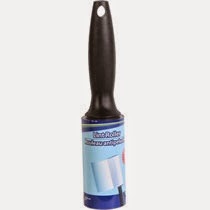 Not everyone may need this item, but as someone who owns three dogs and has a head full of long hair that constantly sheds, a lint roller can really come in handy. It's one of those items that I may not even need to use but on the off chance that I do, I'm so glad that I have it. *Helpful Hint: This comes in a 3 pack and can be found on the shelf across from the conveyer belts in the check-out area. Again, this is one of those items that some people use and others don't. But if you do, did you know you can buy an 8 pack of shower poufs at the Dollar Tree? One dollar gets you eight of these things! They are the perfect size for travel too. Just pack a new one for your trip and toss it out when you pack to leave. No need to travel back with a wet one. No need to pack a big stick of deodorant. You can grab a travel sized stick at the Dollar Tree instead. Save space in your suitcase and then throw it out before you head home. *Helpful Hint: If you have a Big Lot's near you, you can find some of the toiletries like deodorant, for only .50 cents! It may sound funny because you don't plan on doing any laundry on vacation... but this isn't for laundry. If you've ever been on a beach on a fairly windy day, you'll know that keeping a towel on a beach chair can be a pain. Some people spend over $20 for fancy towel clips to keep towels from blowing off their lounge chairs. 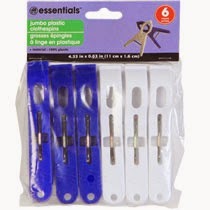 But you can get a pack of clips at the Dollar Tree! $19.00 Saved! It's also great for clipping wet clothes to try on your room balcony/patio too. 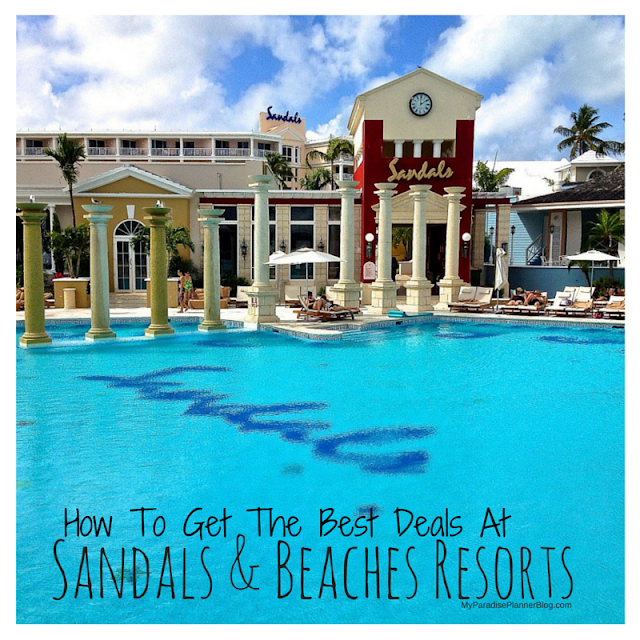 Is Sandals Resorts Worth The Money?